The BOV Winter League resumes today after 15 round-robin matches were played between February 28 and the Easter recess. The teams in the Premier League, now split into the championship and the bottom pool, will be involved in the six play-offs to determine the destination of the title and the final standings of the 22nd edition of this pre-season tournament. Anticipating which sides would form the two groups before the league started did not pose any significant ponderables except some doubt as to Sirens’ insertion into the top pool and, to a certain extent, that of Valletta. The northerners and the City outfit were expected to offer Neptunes, San Ġiljan and Sliema some sort of honest challenge. Sirens fared better than Valletta in this regard as they only lost by relatively close margins when they faced the top three teams. But after that they came a cropper against Stephen Rizzo’s Valletta to surrender the temporary fourth place. The three matches of the championship pool could very well develop into tight affairs irrespective of the first round results between the contestants. However, leaders San Ġiljan seem to have the best credentials to land this pre-season honour for the second time in their history, not only on the strength of their results against Sliema and Neptunes but mainly because they possess the most consistent squad with a mixture of youth and experienced units. Second-placed Sliema, on the other hand, could very well be building a head of steam, with their team relying on resilience based on a core of established players and improved collective play after losing against San Ġiljan in their opening match. On their part, Neptunes’ generally young team would need to shed off their wastefulness on man-ups and again summon their early opening round graft and tactical discipline to upstage their opponents and have a say in the destination of the title despite the absence of some thoroughbreds in their squad. The matches in the bottom pool would only be of statistical interest given that Valletta, Sirens and Exiles are mainly targeting improvement in quest of positive results come summer. The First Division competition, comprising Marsascala, Otters and Ta’ Xbiex and played over two rounds, should re-confirm holders Marsascala as champions after the southerners had beaten their opponents fairly and squarely in earlier matches. The remaining two matches in the lower division are between Marsascala and Ta’ Xbiex, to be played today, followed by that between the latter team and Otters which is scheduled next week. Playing today: 6.15pm Marsascala vs Otters; 7.30pm Exiles vs Valletta. 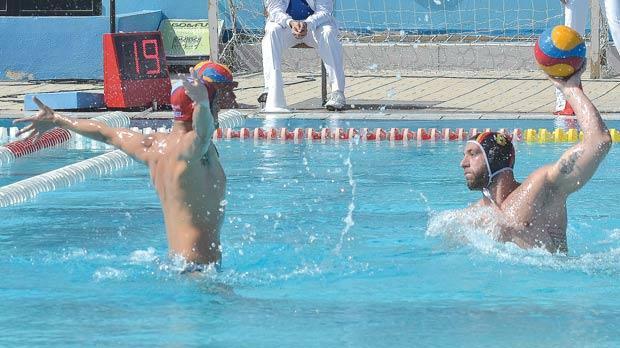 Tomorrow: 2.30pm ASA U-19 vs Ta’ Xbiex; 3.45pm Neptunes vs San Ġiljan.